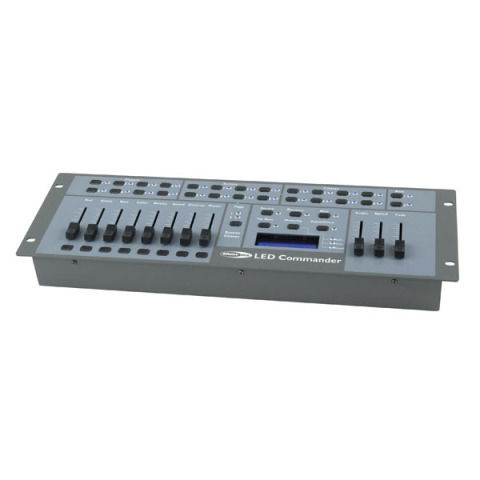 The Showtec LED Commander is a 19" Rack mounted DMX controller, suitable for controlling all LED and conventional lighting fixtures. The Showtec Commander is a truly versatile light controller which can control nearly every type of LED PAR Can on the market today. It can control up to 8 different groups of fixtures simultaneously. 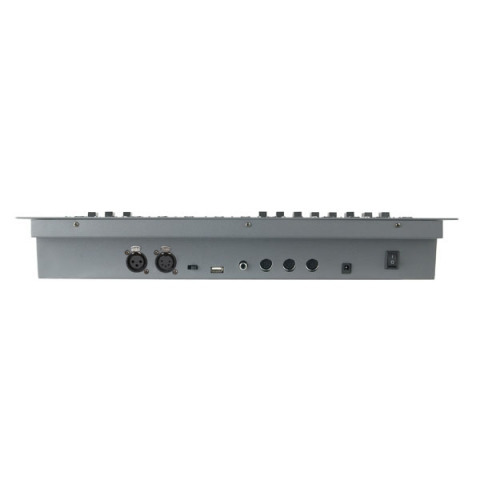 It has eight faders which can be patched to the desired DMX value. Furthermore the unit has 16 scenes (8 scenes on 2 pages) and 16 chases (8 chases on 2 pages). 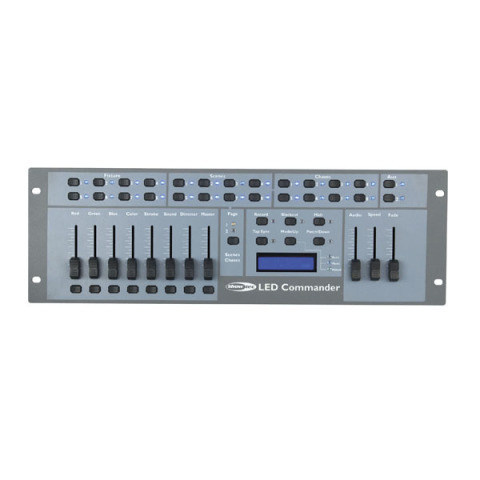 This is a great unit for use by bands and groups as it can be interfaced by MIDI protocol. It is also equipped with 2 Auxiliary channels to connect to your smoke machine or strobe. In order to make programming easy and simple the Showtec Commander is equipped with a bright and clear LCD display.